Complementary and Integrative Medicine and the medical specialty of Traditional Chinese Medicine (CIM/TCM) has long been challenged and denied to patients despite its low cost and evidence of widespread health benefits and efficacy for the treatment of pain, acceleration of tissue healing in musculoskeletal injury and disease, and improved function and return to work in occupational injury, especially concerning repetitive and postural strain injuries (RAPSI), which make up the majority of workplace injuries, and cost the economy a fortune each year with time off work and diminished worker productivity. In 2015, in response to decades challenging the evidence of benefit, the conservative Kaiser Permanente Northwest Center for Health Research, in Portland, Oregon, U.S.A. conducted a broad cross-sectional survey of patients and found that both the treatments from a Licensed Acupuncturist and a Chiropractor were now used by a majority of their patients, but with problematic payment and support from the insurance industry, a majority of this care is paid out of pocket without regard to insurance coverage. This situation creates a lack of data on electronic medical data capture which continues to manufacture statistics that such broad Complementary Medicine care, with an array of treatment protocols, does not actually provide benefit when integrated with standard medicine. The truth is that these Complementary and Integrative Medicine specialties are creating strong benefits for patients both in treatment outcomes and prevention of future disease and injury, or this broad percentage of patients would not be paying out of pocket on top of their high insurance premiums for this care. Both the exclusion of CIM benefits in medical outcome data, and the manipulation of the gold standard evidence with biased study design with randomized controlled human clinical trials, as well as the bias against publication of scientific studies supporting these therapies in Western medical journals, have all contributed to a distorted reality of the real benefits to better utilization of CIM/TCM to treat pain, injury and painful disease. To see this study, click here: http://www.ncbi.nlm.nih.gov/pubmed/26295269 . Hopefully, the abundant evidence in recent years of benefit and the complete lack of any evidence of harm, will further the utilization and payment for these effective integrative therapies, and end the epidemic of addiction to narcotic pain medication that has now occurred by avoiding more conservative and direct manual therapies. To achieve these goals, better patient understanding of the issues must occur. The application of double-blinded placebo-controlled human clinical trials designed to assess the safety of pharmaceuticals has been difficult to apply to all manual medicine, including acupuncture. Nevertheless, this standard of evidence for acupuncture has resulted in a large number of such human clinical trials being performed, many now funded enough to satisfy the demand that a large number of patients be included. The evidence of such trials has consistently generated evidence of effectiveness, measurable by both objective and subjective evaluation. The evidence in these trials has consistently fulfilled the need to prove that this effectiveness is greater than placebo effect, although this placebo design has been difficult, since the patient and the physician administering the placebo or sham acupuncture must be blinded to its placebo or sham nature. The design of the double-blinded placebo-controlled studies has often been questioned for bias against the acupuncture profession. Finally, a broad agreement has occurred that this basic study design is biased when applying it to the practice of needle stimulation, and has been replaced with the single-blinded randomized controlled human clinical trial, or RCT. The question of the placebo in the design remains a controversy, and a growing consensus to accept the control comparison as something other than a "placebo" needle stimulation, which of course is impossible in reality, has been seen. In acupuncture, the question of the placebo effect has finally been acknowledged as a fundamental part of the quantum set of physiological benefits as well, and not purely as a fake benefit, as we see in the placebo pill used in pharmacological practice. The placebo effect in acupuncture has been much studied in recent years, demonstrating both that this effect is nuanced, and that the superficial stimulation of points at the skin produces a different effect on the brain from real acupuncture stimulation, showing that the placebo effect itself in acupuncture is perhaps a valuable means of achieving objective success in treatment. These inherent aspects of bias in the basic study design are only slowing being corrected, though. No other manual medicine has been held to these RCT evidence criterias, with almost no manual medicine evidenced by randomized, double-blinded placebo-controlled human clinical trials. This cynical fact continues to be largely ignored. Nevertheless, acupuncture has succeeded in this daunting task with proof from the RCT study design, and the acceptance into law of these evidence-based treatment guidelines in not only musculoskeletal medicine, but in many areas of disease and injury, is now accomplished. Physicians may utilize these evidence-based legal guidelines which are cited below, and each year the growth in this scientific evidence, and in the evidence-based guidelines, continues. In the September 10, 2012 issue of the esteemed medical journal Archives of Internal Medicine, the renowned health outcomes researcher Andrew Vickers of Memorial Sloan-Kettering in New York released his meta-review of current scientific research on acupuncture and the treatment of chronic pain. In this meta-review Dr. Vickers and colleagues limited research data to only the highest-quality human clinical trials to deflect the historic criticisms of acupuncture research. This review, from over 18,000 patients in 29 high-quality clinical trials, provided proof that acupuncture treatment for chronic pain significantly outperforms so-called sham or placebo acupuncture, and more importantly, outperforms standard treatment by even greater measures. Dr. Vickers was quoted as stating: "Our findings provide the most robust evidence to date that doctors are justified in making referrals to acupuncture for their patients with chronic pain. I hope that our findings help inform future clinical and policy decisions for acupuncture." In 2014, a randomized controlled trial of acupuncture for the treatment of acute traumatic pain, conducted at 4 large hospital emergency rooms in Melbourne, Australia noted that acupuncture was as effective as pain medications to relieve symptoms even in an acute setting with low back pain, migraines and sprained ankles. Physicians at The Alfred, Northern, Cabrini and Epworth Hospitals partnered with the RMIT School of Health Sciences, headed by Dr. Michael Ben-Meir, the director of the Cabrini Hospital emergency department, who had previously studied Traditional Chinese Medicine (TCM) as a specialty. It is hoped that low-cost acupuncture could be introduced into even the hospital emergency services, as well as standard care, to provide safer therapy with no adverse side effects for millions of patients in the future. While only about 10 percent of Australian patients reported use of acupuncture treatments in Australia in 2014, such studies as this could greatly expand the specialty. A number of follow-up studies of the integration of acupuncture into the emergency room setting were conducted. One such observational study was conducted in 2013 and 2014 at the Abbot Northwestern Hospital and the University of Minnesota, in Minneapolis, Minnesota, U.S.A. with 436 patients in the acute care setting referred for acupuncture, with 239 patients approached by an acupuncturist during their emergency room visit. Of these patients, 89 percent consented to receive acupuncture. The results of the study: "Results from this observational trial indicates that acupuncture was acceptable and effective for pain and anxiety reduction, in conjunction with standard medical care. These results will inform future randomized trials." (PMID: 26917627). Currently the evidence-based med-legal justification for acupuncture in occupational medicine, or Worker's Compensation, as well as for musculoskeletal pathologies in general, is supported by California Law and Title 8. Industrial Relations, Division 1. Chapter 4.5, Division of Workers' Compensation, Subchapter 1. Administrative Rules: Article 5.5.2 Medical Treatment Utilization Schedule; 9792.20 to 9792.23 of Labor Code. This legal guideline is scientifically and evidence-based and nationally recognized by the medical community, as insured by the WC Medical Director and a board of 17 appointed specialty members, one of which is a Licensed Acupuncturist, currently Ted G. Priebe DOM, of Torrence, California. Doctor Priebe is a renowned acupuncturist that has been instrumental in working to establish acupuncture in the med-legal evidence-based arena for many years. These industrial labor laws are typically referred to as Labor Code. Labor Code 9792.21(C)(i) guidelines state that an initial course of 4-6 treatments, at a frequency of 1-3 treatments per week, for up to 2 months optimally, is legally recommended to produce functional improvement. Labor Code 9792.21(B) cite indications for acupuncture and electroacupuncture in reference to the presenting complaints outlined in the ACOEM Practice Guideline Chapter Headings: neck and upper back, elbow, forearm wrist and hand, low back, knee, ankle and foot, and pain suffering and restoration of function. These guidelines are supported by Sections 133, 4603.5, 5307.3, and 5307.27 of the California Labor Code, which guarantees the rights of the injured worker to treatment by a Licensed Acupuncturist, who is considered a primary treating physician within the context of the California Workers' Compensation system. Reference supporting the practice of acupuncture includes Sections 77.5, 4600, 4604.5 and 5307.27 of the Labor Code. Further treatment beyond the initial course of 4-6 treatments is justified by Labor Code 9792.21(D), which states that acupuncture treatments may be extended if functional improvement is documented as defined in Section 9792.20(e): "Functional Improvement" means either a clinically significant improvement in activities of daily living (ADL) or a reduction in work restrictions as measured during the history and physical exam, performed and documented as part of the evaluation and management visit billed under the Official Medical Fee Schedule (OMFS) pursuant to Sections 9789.10-9789.111: and a reduction in dependency on continued medical treatments. Functional improvement can be documented as defined above, by the primary treating physician (PTP) in the routine evaluation exam. To facilitate the documentation of functional improvement, the patient may present a short narrative document, signed and dated, to the PTP, that describes functional improvement in activities of daily living (ADL), or reduction in work restriction of a functional nature, as a result of the initial course of treatment. This narrative can be CC'd or forwarded by mail to the claim administrator or case administrator, to further facilitate documentation of functional improvement. Often, if there is institutional bias against the acupuncture profession, such a testimony by the patient is important to further the course of treatment if functional improvement is noted. Obviously, a course of 4-6 treatments is not enough in most cases to effect a lasting effect and restore the the injured tissues and functional capacity of the patient. The treatment course should focus on this healthy regrowth of injured tissues and functional capacity, rather than mere palliative care, and a combination of direct soft tissue therapies and patient instruction is important in the protocol. In the specialty of acupuncture, or Traditional Chinese Medicine (TCM), this is called Tui na. Evidence-based guidelines for acupuncture and related therapies under the physician scope of practice of the medical and business license is also now supported by the New York State Workers' Compensation Board Medical Treatment Guidelines of June 30, 2010. These guidelines simplify the application of acupuncture and related physiotherapies, specifying that "While it (acupuncture and electroacupuncture) is commonly used when pain medication is reduced or not tolerated, it may be used as an adjunct to physical rehabilitation and/or surgical intervention to hasten the return of functional activity...Acupuncture can be used to reduce pain, reduce inflammation, increase blood flow, increase range of motion, decrease side effect of medication-induced nausea, promote relaxation in an anxious patient, and reduce muscle spasm. Indications include joint pain, joint stiffness, soft tissue pain and inflammation, paresthesia, post-surgical pain relief, muscle spasm, and scar tissue pain." The treatment guidelines state that 3-6 initial treatments, with a maximum of 10 treatments, is recommended, but that "acupuncture treatments may extend longer if objective functional gains can be documented or when symptomatic benefits facilitate progression in the patient's treatment program." These New York evidence-based treatment guidelines also support trigger point injections with dry needling (acupuncture) "to relieve myofascial pain and facilitate active therapy and stretching of the affected areas." In addition, the simplified evidence-based guidelines of New York support neuromuscular re-education, manipulation, massage of soft tissue ("This may include stimulation of acupuncture points and acupuncture channels (acupressure), application of suction cups and techniques that include pressing, lifting, rubbing, pinching of soft tissues by or with the practitioner's hands. "), mobilization of joints, mobilization of soft tissues, and active therapies instructed to the patient. These physiotherapies describe the TCM specialty of Tui na, termed Asian or Oriental massage therapies in the California scope of practice. High quality research has provided evidence-based guidelines for the acupuncture specialty that is applicable by law. In normal insurance coverage, most policies do not require a designated physician to serve as the primary treating physician directing this care. The exceptions to this include managed care (HMO and EPO), medical provider groups (MPG), and PPO policies that specify that a designated network provider must oversee care if the treating physician is outside of the network. Not all HMO and EPO policies will require a primary treating physician that is a network MD. In the Workers" Compensation system, a primary treating physician is assigned to or selected by the patient to make all medlegal decisions regarding care. The patient may appeal denial if the evidence-based treatment guidelines are not applied correctly. Normally, the primary treating physician (PTP) is an M.D. that specializes in occupational medicine, pain management, orthopedic surgery, or neurology, but may also be a chiropractor or osteopath. The Licensed Acupunturist may be designated as the primary treating physician by the patient if the L.Ac. is qualified to manage patient care, but there are drawbacks to assuming this role in the management of the patient's treatment in the California system. The L.Ac. assuming this role of primary treating physician, should be tested and qualified as a QME (Qualified Medical Examiner) in order to be able to legally address treatment management and the issue of permanent and stationary (P&S) condition of the patient. This is very important in the medlegal handling of the case decision making by the primary physician, who is legally responsible to make all treatment decisions. The major drawback in this situation is that the L.Ac. cannot address issues of disability determination and apportionment, which must be assessed by an M.D. or a chiropractor. Labor Code 3209.3 grants "physician" status within the Workers' Compensation system, but restricts the Licensed Acupuncturist, serving as a QME or PTP from making medlegal determinations of disability, which could ultimately hinder the case settlement of your patient, if the patient's disability determination is made by an assigned QME or AME that does not make a fully informed medical assessment. It is in the best interests of the patient to have a primary treating physician that can address these legal issues fairly and truthfully. The patient has the right, after 30 days from the date of injury, to change primary treating physicians, and if this right is restricted by a prior agreement to a health plan with a medical provider network designated to handle Workers' Compensation administration, the patient still has the right to choose a primary treating physician, and a personal acupuncturist after either 90 or 180 days from the date of injury, according to Labor Code 9783.1. Extended treatment under these evidence-based guidelines of California and New York is based upon functional improvement that is demonstrated after the initial course of therapy. Examples of functional improvement resulting from the acupuncture treatment include the ability to achieve prolonged sleep and rest, the ability to sit, stand or walk for a longer period of time without restriction by pain or other symtpoms, the ability to lift and carry without restrictions by pain or other symptoms, the ability to type or operate a computer for longer periods of time without restriction, the ability to increase exercise without restriction, an increase in active range of motion of an affected joint, or decreased weakness of grip of an affected joint. Of course, there are many other examples, dependant on the type of injury and pathology, and there are a number of standard questionnaires that address the issue. To keep the matter simple and straight forward, it is best to avoid excess documentation and to let the patient narrative and report of the findings of evaluation by the PTP to document functional improvement to justify more treatment. In addition, adequate treatment notes should document both patient reporting of functional improvement as well as objective testing of increases in range of motion, muscle strength, etc. Keep in mind that a reduction in treatment dependency should also result and be documented. Prior to the adoption in June of 2007 of these Labor Code Treatment Guidelines for the profession of acupuncture, which were mandated in 2004, but delayed due to political decisions, possibly because of industry lobbying, there existed the 1998 California Industrial Medical Council (IMC) treatment guidelines, which fully supported acupuncture, myofascial release, neuromuscular reeducation, and soft tissue mobilization as a first line of conservative treatment for most industrial injuries, as well as for treatment in the chronic pain syndromes. These guidelines followed the National Institute of Health (NIH) acupuncture guidelines of 1997, called the 1997 NIH Consensus Statement on Acupuncture, which reviewd 2300 scientific references on Medline. To obtain copies of the IMC guidelines, call (415) 737-2700. IMC recommendations were for an initial course of acupuncture up to 12 visits in the first month. These guidelines were assembled by medical experts in the field, mainly medical doctors, as mandated by the 1988 California Workers' Compensation reform act, took 10 years to implement and publish, and just 6 years for the industry to support the recall of Governor Gray Davis and the election of Governor Arnold Schwarzenegger, who immediately adopted the next Workers' Compensation Reform law, which superseded these occupational treatment guidelines and delayed acupuncture guidelines until late in 2007. The 1997 NIH Consensus Statement on Acupuncture concluded that "the data in support of acupuncture are as strong as those for many accepted Western medical therapies...There is sufficient evidence of acupuncture's value to expand its use into conventional medicine..." The NIH recommendations in 1997 were to make acupuncture inclusive in treatment of myofascial pain, fibromyalgia, headache, lateral epicondylitis, low back pain, and carpal tunnel syndrome, based on then current MEDLINE citations of acceptable scientific studies. Today, NIH recommendations are being updated and revised, and the AHRQ (Agency for Healthcare Research and Quality) was created to fairly list evidence-based scientific information and guidelines. The AHRQ lists the CAOMA/FAR Treatment Guidelines for Acupuncture: Acupuncture and Electroacupuncture: evidence-based treatment guidelines, as the only comprehensive specialty guidelines accepted by the AHRQ. These guidelines were adopted by the California legislation in AB2287 (Chu), in 2006. The ACOEM guidelines were determined to be insufficient in citing evidence to deny acupuncture based on the testimony of the authors in their Insight publication in 2004. California Labor Code 9792.21 states that its own guidelines should legally supersede ACOEM guidelines regarding acupuncture for all pathologies except acute shoulder pathologies. The World Health Organization (WHO) issued a statement in 1999: "The effectiveness of acupuncuture analgesia has already been established in controlled clinical studies. As mentioned previously, acupuncture analgesia works better than placebo for most kinds of pain, and its effective rate in the treatment of chronic pain is comparable to that of morphine. In addition, numerous laboratory studies have provided further evidence of the efficacy of acupuncture's analgesic action as well as explanation of the mechanism involved. In fact, the excellent analgesic effects of acupuncture have stimulated research on pain. Because of the side-effects of long-term drug therapy for pain and the risks of dependence, acupuncture analgesia can be regarded as the method of choice for treating chronically painful conditions." As stated, the CAOMA/FAR Treatment Guidelines for Acupuncture: Acupuncuture and Electroacupuncture: evidence-based treatment guidelines of 2005, are the only professional comprehensive guidelines accepted by the AHRQ as of 2007, are the basis for the California labor Code adopted Medical Treatment Guidelines for Acupuncture in 9792.21, and are RAND approved. These guidelines cite 72 randomized controlled trials supporting the efficacy of acupuncture for various neuromusculoskeletal conditions that were found to meet strict inclusion criteria, and over 480 large double-blinded clinical trials that supported acupuncture in the treatment of occupational injury. These studies cited do not address the full scope of practice of the California Licensed Acupuncturist, which includes a number of physical modalities besides needle stimulation and electrical stimulation. These physiotherapies and nutrient/herbal therapies are also supported by numerous double-blinded placebo trials and scientific study published around the world and cited, in part, on PubMed. The combination of these various therapies together in the clinical setting will not be a subject of such clinical trials due to the complexity of analysis with multiple modalities combined, but the inference that a combination of such modalities is potentially more effective than the acupuncture or electroacupuncture alone is valid. The ODG (Official Disability Guidelines) from the Work Loss Data Institute, have been adopted to supersed the ACOEM temporary guidelines Chapter 6, Pain, Suffering, and the Restoration of Function, relating to chronic pain, as of Octover 31, 2007. These RAND approved guidelines are continuously revised, and so future versions do not apply in California law unless approved under formal rulemaking process. The ODG guidelines do support a short initial course of 3-4 treatments of acupuncture with further treatment of 8-12 treatments justified by evidence of functional improvement, but these ODG guidelines were not adopted by California labor code as applied to acupuncture in chronic pain, and 9792.21 supersedes the chapter of ODG on acupuncture. The ODG guidelines also recommend herbal and nutrient therapies as evidence-based medicine for chronic pain syndromes, but because of current failure of the FDA regulations to establish a minimum standard for manufacturing quality, purity, identity, strength and composition, these guidelines could not be adopted into the California labor code. The recommendations included frankincense (boswellia serrata), curcumin (turmeric), pycnogenol (pine bark extract), Cat's Claw (uncaria tomentosa), white willow bark, glucosamine and chondroitin, and various herbal therapies of TCM. Re: Appendix A- Chronic Pain Medical Treatment Guidelines (DWC 2008), Title 8, California Code of Regulations, Section 9792.20 et al. Initial Statement of Reasons. 2011 Practice Guidelines for Chronic Pain Management from the American Society of Anesthesiologists Task Force on Chronic Pain Management and the American Society of Regional Anesthesia and Pain Medicine state: "Recommendations for acupuncture. Acupuncture may be considered as an adjuvant to conventional therapy (e.g. drugs, physical therapy, and exercise) in the treatment of nonspecific, noninflammatory low back pain." The authors cited evidence of high quality that shows efficacy at a 6-month follow-up evaluation, compared to standard therapies, and that both acupuncture and elecroacupuncture are equivalent (Anesthesiology 2010; 112:1-1). These guidelines validate the use of acupuncture, as well as a number of physiotherapies within the scope of practice of the Licensed Acupuncturist, for the treatment of chronic pain management, and do not reflect upon the evidence-based guidelines cited above for acute and subacute injury, or specific or inflammatory chronic pain syndromes. Re: A full account of citations prior to 2004 is included in the CAOMA/FAR Treatment Guidelines for Acupuncture: Acupuncture and Electroacupuncture: evidence-based treatment guidelines. Acupuncture for Pain: meta-analysis in 2009 by the Cleveland Clinic Family Medicine Residency, Kelly RB: "Enough data are available for some conditions to allow systematic evaluations of meta-analyses. Based on published evidence, acupuncture is most likely to benefit patients with low back pain, neck pain, chronic idiopathic or tension headache, migraine, and knee osteoarthritis. Promising but less definitive data exist for shoulder pain, fibromyalgia, temporomandibular joint pain, and postoperative pain. Acupuncture has not (yet) been proven to improve pain from Rheumatoid arthritis. For some other pain conditions, there is not (yet) enough evidence to draw conclusions (in 2009)." In 2012, a follow-up meta-review of only the highest quality studies of acupuncture for the treatment of pain was accomplished by the esteemed health outcomes researcher at Memorial Sloan Kettering, Dr. Andrew Vickers, and published in the September 10, 2012 issue of Archive of Internal Medicine. In this meta-review, Dr. Vickers utilized 29 human clinical trials of acupuncture for chronic pain of the highest study rating and concluded that there was ample proof that acupuncture significantly outperforms sham or placebo, and in fact outperforms standard pain therapies by an even greater margin. Dr. Vickers stated: "Our findings provide the most robust evidence to date that doctors are justified in making referrals to acupuncture for their patients with chronic pain. I hope that our findings help inform future clinical and policy decisions for acupuncture." Lateral Epicondalgia Acupuncture: A Systematic review and meta-analysis of clinical trials on physical interventions for lateral epicondylalgia: L Bisset, A Paungmali, B Vincenzino, E Beller: British Journal of Sports Medicine 2005;39:411-422. doi: 10.1136/bjsm.2004.016170: "There appears to be some evidence to support the efficacy of acupuncture over placebo as a treatment for lateral epicondylalgia in short term outcomes." Analysis utilized Cochrane database with reports prior to May, 1999, and concluded that a review of treatments inclusive of NSAIDS, extracorporeal shock-wave therapy, acupuncture and other standard modalities showed insufficient evidence to support any one treatment over another, but that preliminary evidence of positive moderate effects for joint manipulations such as MWM on measure of PFGS and pressure pain threshold were promising. Citing: Fink M, Wokenstein E, Luennemann M, et al. Chronic Epicondylitis: effects of real and sham acupuncture treatment: a randomised controlled patient and examiner-blinded long-term trial. Forsch Komplementarmed Klass Naturheilkd 2002:9;210-15 / Molsberger A, Hille E. The analgesis effect of acupuncture in chronic tennis elbow pain. British Journal of Rheumatology 1994:33;1162-5. comparing extracorporeal shock wave therapy and injection of steroid for the treatment of lateral epicondylitis. Carpal Tunnel Syndrome: soft tissue mobilization, or TuiNa: The AHRQ (Agency for Healthcare Research and Quality) Evidence-based Practice Program stated: "Results of a single study suggest that manual therapy may have some use in the treatment of carpal tunnel syndrome. This study suggests that carpal bone mobilization provides pain relief and improves function, and delays or eliminates the need for surgery among patients with carpal tunnel syndrome...Meta-analysis of global outcomes demonstrates a potential benefit from not performing neurolysis (surgery). Available return to work data also shows a trend toward not performing neurolysis. There is insufficient data to determine the effect of neurolysis on pain and function." Carpal Tunnel Syndrome: acupuncture evidence: NIH/NIAMS 2006 clinical trial (identifier NCT00000394 at ClinicalTrials.gov) was completed with positive results, as yet unpublished. Chronic Pain Syndromes of the Head, Neck and Upper Extremities Acupuncture: Junnila, 1987; "A 5-year trial of acupuncture therapy in the Finnish NHS is surveyed. In total 348 patients attending Haikko Health Centre in SW Finland were treated with needle stimulation for a wide variety of chronic pain syndromes. An analysis of results showed significant relief of pain (more than 40% reduction on the visual analog scale) in myofascial syndromes affecting the head, neck, shoulder and arm." ODG guidelines cite a number of studies supporting acupuncture for chronic mechanical neck pain, including: He 2004, Blossfeldt 2004, Konig 2003, Irnich 2002, and the Gross-Cochrane 2004 analysis. Effect of acupuncture treatment on chronic neck and shoulder pain in sedentary female workers: a 6-month and 3-year follow-up study. He D, Bo Veiersted K, et al, Pain Vol. 109;3;299-307: a randomized placebo controlled trial with 10 treatments over 3-4 weeks was conducted, with algometric and questionaire evaluations performed before and at the time of treatment, and also at 6 months and again at 3 years after treatment. The pain reduction in the treatment group, measured by algometric pain threshold measurement in the neck and shoulder regiions, remained significant after 6 months, while the control group reported a return of neck pain and headache to pre-treatment levels. The same results were noted at 3 years. Chronic Low Back Pain - Acupuncture: Meng CF, Wang D, Ngeow J, et al: Rheumatology 2003:42;1508-17: Acupuncture for chronic low back pain in older patients: a randomised, controlled trial. The addition of acupuncture with electrical stimulation for 10 treatments over a 5 week period to the usual protocol of NSAIDS, muscle relaxants, paracetamol, and back exercises found a significant decrease in pain at 6 weeks that was maintained after 4 weeks of stopping treatment, as measured by the Roland Disability Questionaire (RDQ) and functional exam. Conclusions were that addition of a biweekly 5 week course of acupuncture with electrical stimulation reduced pain and improved function in older patients with chronic low back pain. Evidence based rating 7/10. German Acupuncture Trials (GERAC) for Chronic Low Back Pain; Randomized, Multicenter, Blinded, Parallel-Group Trial with 3 Groups; Michael Haake, PhD, MD, Hans Helge Muller PhD et al. Published in Archives of Internal Medicine 2007;167(17):1892-1898. CONCLUSIONS: Low back pain improved after acupuncture treatment for at least 6 months. Effectivenss of acupuncture, either verum or sham, was almost twice that of conventional therapy. Low Back Pain Inclusion of Massage Therapies: Meta-analysis of published evidence from 1995 to 2003 by Cherkin, DC, Sherman KJ, et al: Annals of Internal Medicine 138, pp. 898-906: "Three studies that evaluated massage found this therapy to be effective for persistent back pain, especially for improving patient functioning." (AHRQ grant HSO9989) Treatment of low back pain by acupuressure and physical therapy: randomised controlled trial. CONCLUSIONS: Acupuressure was effective in reducing low back pain in termas of disability, pain scores, and functional status. The benefit was sustained for six months. BMJ 2006 Mar 25;332(7543):696-700. Epub 2006 Feb 17. A randomized controlled trial for low back pain treated by acupressure and physical therapy. CONCLUSIONS: Our results suggest that acupuressure is another effective alternative medicine in reducing low back pain, although the standard operating procedures involved with acupuressure treatment should be carefully assessed in the future. Copyright 2004 The Institute for Cancer Prevention and Elsevier Inc., published in Preventative Medicine 2004 Jul;39(1):168-76. National Taiwan University, Taipei: concluded that acupressure was more effective in treatment of low back pain than conventional physical therapy. The study concluded that acupressure gave patients better long lasting relief, with an 89% reduction in disability, with significant benefits after 6 months. BMJ 2006 March 25; 332(7543):6960-700; Hsieh, Kuo, Lee, Yen, Chien, Chen; Institute of Preventative Medicine, College of Public Health, National Taiwan, University of Taipei, Taiwan. RCT. A 2015 randomized controlled human clinical trial of electroacupuncture to treat knee osteoarthritis, from the Shanghai University of Traditional Chinese Medicine, in Shanghai, China, found that both low intensity and high intensity electroacupuncture relieved pain and joint stiffness, improving functional capacity, but that the high intensity electroacupuncture worked better. The treatment also produced improvement in blood lab tests measuring pro-inflammatory markers of the disease such as TNF-alpha, IL-6, and apelin. PMID: 26770523 - Int J Clin Exp Med 2015 oct 15; 8(10): 18981-9. Knee Pain with Osteoarthritis - Acupuncture: Berman, Lao, Langenberg, et al: Annals of Internal Medicine, Dec 21, 2004: 141;(12);901-910: funded partially by NCAAM and NIAMS (National Institute of Arthritis and Musculoskeletal and Skin Diseases): found that 23 treatments of acupuncture versus sham acupuncture with educational instruction showed significant improvement in symptom reduction and increased function, measured by the WOMAC index, with symptoms decreased 40% versus 30%. Stephen E Straus, M.D. NCAAM Director stated: "For the first time, a clinical trial with sufficient rigor, size, and duration has shown that acupuncture reduces the pain and functional impairment of osteoarthritis of the knee. These results also indicate that acupuncture can serve as an effective addition to standard regimen of care and improve quality of life for knee osteoarthritis sufferers." Hypothalamus and amygdala response to acupuncture stimuli in Carpal Tunnel Syndrome (Pain. 2007 Aug;130(3):254-66): "Thus, we investigated both the short-term brain response to acupuncture stimulation, as well as the influence of longer-term acupuncture therapy affects on this short-term response. CTS patients responded to verum acupuncture with greater activation of the hypothalamus and deactivation in the amygdala as compared to healthy controls, controlling for the snon-specific effects of sham acupuncture. A similar difference was found between CTS patients at baseline and after acupuncture therapy. For baseline CTS patients responding to verum acupuncture, functional connectivity was found between the hypothalamus and amydala - the less deactivation in the amygdala, the greater the activation in the hypothalamus, and vice versa. Furthermore, hypothalamic response correlated positively with the degree of maladaptive cortical plasticity in CTS patients (inter-digit separation distance). This is the first evidence suggesting that chronic pain patients respond to acupuncture differently than health controls, through a coordinated limbic network including the hypothalamus and amygdala." Further studies at the Massachusetts General Hospital and Harvard Medical University found that the effects measured by brain activity (fMRI etc.) confirmed that real acupuncture stimulation affected the brain centers for pain control and modulation, such as the hypothalamus and amygdala, while sham acupuncture, or superficial stimulation at the points, affected only the cortical responses to pain, affecting a temporary effect of pain relief. These seminal studies prove how real acupuncture stimulation alters the sensory and motor responses to pain with a lasting effect, achieving both long-term perceptual modulation of chronic pain, and objective functional benefits at the peripheral sites. A 2016 study from China Medical University, in Taichung, Taiwan, showed that one mechanism by which electroacupuncture relieves inflammatory pain is through modulation of the transient receptor potential vanilloid 1 (TRPV1) pathway in the central nervous system, as well as the reduction in Nav sodium currents in the spinal cord related to nociception (pain signals). This study used electroacupuncture stimulation at ST36-37. Such study shows that even in inflammatory pain that a course of acupuncture could significantly reduce the pain sensation, besides that effects of a full treatment on immune response modulation and increased circulation. PMID: 26906464 - Sci Rep 2016 Feb 24;6: 22123. A 2014 study at the Zhejiang Medical University, in Hangzhou, China, showed that electroacupuncture relieves allodynia, or pain sensitivity to light touch seen in chronic neuralgia and painful inflammatory conditions, in part by modifying cOX-2 expression in the spinal cord via the JNK1/2 signaling pathway. PMID: 25010483 - Brain Res Bull 2014 Sept: 108: 27-36. STRICTA (standards for reporting interventions in controlled trials of acupuncture), in collaboration with CONSORT Group, is a UK founded recommendations guide for establishing standards of reporting evidence and analysis of clinical trials so that there is a fair and unbiased interpretation of evidence. This was set up due to the practice of interpreting clinical trial data in a way that unfairly portrayed the evidence as weak by standard medical journals. Published journals adhering to STRICTA standards include Acupuncture in Medicine, Clinical Acupuncture and Oriental Medicine, Complementary Therapies in Medicine, Journal of Alternative and Complementary Medicine and Medical Acupuncture. These publications are recommended for unbiased reports of current clinical evidence. Problems noted in reporting and analysis of clinical trials include dismissing evidence of positive outcomes when sham acupuncture points were chosen that also showed evidence of positive outcome, as well as dismissing positive outcomes when a study is underfunded or involves less than 60 subjects. The problems with study design are now well documented in acupuncture research, which was held to higher standards than almost all other manual therapies. The British Medical Association in 2007 also stated that the adherence to trial standards set for pharmaceutical research is unfair to the study of acupuncture. It stated that: "trials of acupuncture must be single blind", and that randomized controlled trials of patients must provide evidence "only in an experimental setting on a selected group of patients", in order to decrease the unfair manipulation of acupuncture trial data. Decades of systematic study design bias was addressed with this ruling, and we are now seeing many governments and institutions following suit. The subject of the use, or misuse, of sham acupuncture in acupuncture trials was addressed by the authors of the German Acupuncture Trials in the Archives of Internal Medicine Vol. 168 No. 9, May 12, 2008. 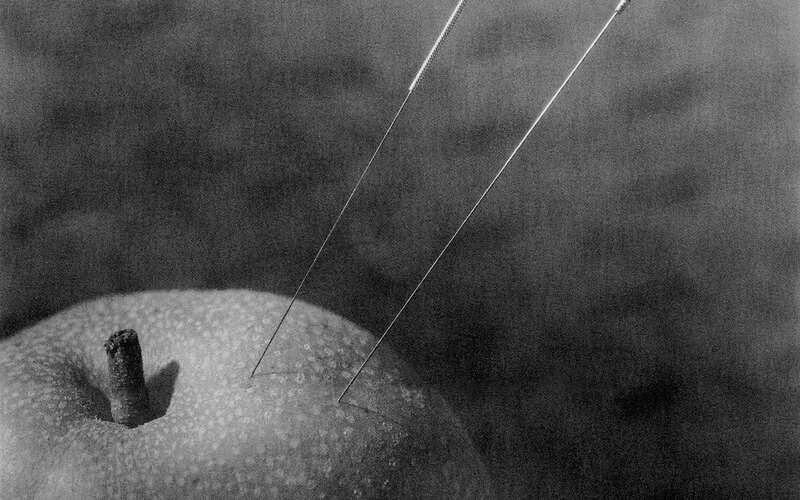 A conclusion was reached that there must be commonalites between the verum acupuncture chosen, and the sham acupuncture, to explain the fact that the sham needling techniques produced favorable outcomes only slightly lower than the verum needling. The sham acupuncture points differed only in depth of needling, intensity of nerve stimulation, and location, but were actual acupuncture treatments. Thus, criticism was leveled that these were not, in fact, placebo treatments. The authors of the trials try to defend against this criticism since Western countries have required an application of a placebo that is not actually possible in any manual medicine, and has not been applied to almost all other forms of manual medicine. This subject of sham acupuncture in double-blinded placebo clinical trials of acupuncture has reached such a level of absurdity in the United States that is has pervaded all acupuncture research, even those funded studies associated with acupuncture medical colleges. An example would be a small study published in 2008 in the Archives of Physical Medicine and Rehabilitation, Volume 89, Issue 1, January 2008, Page 194, authored by one of my teachers of research methodology in medical college, Howard Moffet. This small-scale (i.e. underfunded) randomized, double-blind, placebo (invasive sham) controlled trial of 17 patients with chronic shoulder pain related to spinal cord injury, who received 10 treatments with acupuncture, found that shoulder pain decreased over time 66% with the studied acupuncture points, and 43% with the sham acupuncture (light needling of supposedly nonacupuncture points). Since historically in acupuncture, the use of A shi points (a Chinese term denoting the patient's recognition of a palpable trigger point) has been used extensively to treat musculoskeletal pain, we may say with confidence that there is no such thing as a nonacupuncture point. Also, light needling is a hallmark of most schools of acupuncture in Japan. Since the physicians administering the treatment were blinded to the fact that this so-called sham acupuncture was a placebo, we may assume that these professionals administered treatment to actually alleviate pain. To call this sham acupuncture in reality would not be logical. Although the difference in outcomes was significant, 66% to 43%, and pain relief was significant in only 10 treatments for wheelchair-bound patients with severe injuries and chronic pain, the research writers concluded that there was no statistically significant difference between placebo and real acupuncture, and thus the trial did not show evidence of acupuncture benefit. The study was performed at the University of Medicine and Dentistry of New Jersey, Kessler Medical Rehabilitation Research and Education Center, and funding sources were not identified. Anyone with logical thinking can realize that such studies as this are designed to diminish the positive effects of acupuncture, and the conclusions of the study authors do not reflect a realistic assessment of the scope of acupuncture within a modern multidisciplinary Complementary and Integrative medical setting. The study was designed to be used by the industry to perpetuate the myth that acupuncture is not a proven medical science in pain relief and treatment of musculoskeletal injury. To prove that a sham acupuncture effect is not a true placebo, and should be evaluated in context in study conclusions, Ted Kaptchuk, assistant professor of medicine and associate director of the Division for Research and Education in Complementary and Integrative Medical Therapies and the Osher Institute at Harvard Medical School, conducted a study comparing sham acupuncture outcomes to placebo pill outcomes. This randomized, controlled trial provided proof that the placebo effect in sham acupuncture was significantly greater than in the administering of placebo pain pills. To provide context for such study, one should look at the clinical trials for many pharmaceutical drugs. In many of these studies, the pharmaceutical drug barely outperforms the placebo pill, yet the published conclusions rarely use these facts to shed unfavorable light upon the efficacy of the drug. Currently, in 2009, we see alarming evidence of the manipulation of medical research and published studies, much of which has been collected by Senator Charles Grassley, a Republican from Iowa, in his position on the Senate Finance Committee. Senator Grassley has voiced intense alarm concerning the conflicting relationships between industry, researchers, research institutions and the FDA. He has investigated and reported on ties between leading research professors and the pharmaceutical industry that have netted these professors, who control research design and published outcome, millions of dollars of unreported income from pharmaceutical and health industry corporations. These investigations have turned up such corruption of standard research from such respected medical doctors and professors as Joseph Biederman of Harvard and Charles Nemeroff of Emory University. Senator Grassley has also uncovered scores of published studies ghost-written by writers employed by pharmaceutical companies (re: Prempro and other hormonal therapies). One of these ghost-writers, Dr. John Eden, director of the Sydney Menopause Center in Australia, admitted to putting his name on a ghost-written study created by Wyeth to suppor Prempro. Dr. Eden regretted this corrupt act, but stated in his defense that 'We academics are under some pressure to publish or perish. Performance evaluation of at least Australian academics includes the number and quality of publications per year." This clearly points to state of manipulation of medical research publication today, where a broad systematic control of research has been created to insure profits from a private profit-driven health industry. It is not a leap of intellect to see how this affects published research on acupuncture. Most of the quality research published in the United States prior to 2004 was included in the CAOMA/FAR Acupuncture and Electroacupuncture: Evidence-based Treatment Guidelines 2004, which was RAND approved and cited as the only quality comprehensive guidelines for the profession by the NIH/NGC/AHRQ (National Institute of Health/ National Guideline Clearinghouse/ Association of Health Research Quality). To see an overview of these guidelines, go to: http://www.guideline.gov/summary/summary.aspx?doc_... A complete copy of the guidelines is more helpful as a citation reference, and is available from CAOMA, if you try hard. Unfortunately, these RAND-approved and government-adopted guidelines and research are hard to access due to manipulation of access. The huge number of studies and articles related to acupuncture and related physiotherapies creates an opportunity to pick and choose, and this creates confusion. Since CAOMA/FAR there has been no definitive collection of supportive high quality studies and guidelines, but there continues to be an accumulation of better and larger scientific studies and clinical human trials of quality that support these treatment protocols. In addition to acupuncture needle and electrical stimulation alone, more and more sound studies are designed to prove that physiotherapies do indeed provide proven benefits. Of course, as discussed above, holding physiotherapies to the standard of double-blinded placebo-controlled human clinical trials is almost impossible. Nevertheless, more and more studies support these manual physiotherapies, which in Traditional Chinese Medicine (TCM) are called Tui na, literally mobilization. For example, a 2011 systematic review of these studies was conducted at the University of Puget Sound, Tacoma, Washington, and published in the Journal of Manual and Manipulative Therapy (2011, Aug:19(3):135-42), reviewing all available quality studies of manual physiotherapy to treat cervical radiculopathy. The researchers found that "a general consensus exists within the literature that using manual therapy techniques in conjunction with therapeutic exercise is effective in regard to increasing function, as well as active range of motion (AROM), while decreasing levels of pain and disability." (PMID: 22851876). While we cannot expect a large number of extensive double-blinded placebo-controlled RCTs concerning physiotherapy to be conducted due to the problems of study design with manual medicine, the available literature in medical journals does provide a large consensus in the medical community that current study soundly supports these physiotherapies as part of a more comprehensive protocol. TCM provides the most cost-effective use of a combination of therapies, with the possibility that a TCM physician could supply not only acupuncture, but manual physiotherapies, patient instruction in targeted stretch, exercise and postural mechanical corrections, and other forms of neuromuscular reeducation. The integration of TCM is thus potentially beneficial to both the patient outcome and also the reduction of cost of total care. These CAOMA/FAR guidelines were created in response to Workers' Compensation reform signed into law by Governor Arnold Swarzenegger, which called for specific guidelines to replace the temporary ACOEM guidelines. A RAND study on the ACOEM guidelines described them as inadequate to address the subject of acupuncture, yet, despite public protest over the virtual elimination of acupuncture from California Workers' Compensation, the temporary administrative director of WC under Governor Swarzenegger delayed implementation of these guidelines for over 3 years, eventually applying them in a watered down form as Labor Code 9792.20-2 of the California Code of Regulations Title 8. This delay prompted the legislators to vote for AB2287, adopting these guidelines, in 2005, which was vetoed by the Governor. The reason cited by the committee appointed to assemble practice guidelines for the long delay was that "acupuncture was not considered a priority area since it is not a cost driver" (Dr. Nuckols-Scott and Christine Baker). Since acupuncture was considered inexpensive and proven effective in RTC studies, this delay in implementation not only hurt the profession and denied patient care, but also cost the state Workers' Compensation system money. One can easily see the scope of politics involved in the adoption of scientific study into law. California was among the first states to adopt Workers' Compensation legislation to protect large businesses from the liability of worker injuries, with voluntary participation under the Compensation Act of 1911, and then mandatory participation under the Workers' Compensation, Insurance and Safety Act of 1913. This legislation has been amended numerous times, and is intended to limit the liability of businesses with workplace injuries, while providing and insuring medical care and compensation for the workers. In the 1980s, the acupuncture profession was acknowledged as a proven and reliable form of therapy accepted in this arena of occupational medicine, and touted for its low cost and lack of adverse health effects. Despite the minimal amount of money spent on acupuncture and physiotherapy, the Republican legislators (and Democrats) in California have removed acupuncture from the treatment equation 3 times in the past 30 years, under the guise of "Workers' Compensation Reform". The last removal of acupuncture benefits from workers occurred shortly after the recall of Governor Gray Davis, a supporter of the acupuncture profession, and the election of Arnold Schwarzenegger. The previous California governor, Pete Wilson, deregulated the Workers' Compensation system, allowing for-profit companies to manage the medical care and dispersal of funds, which eventually led to the increase in costs of Workers' Compensation, that was the highest in the nation around 2000, despite a decrease in the number of workplace injury claims. The acupuncture profession was never a cost driver in this system, accounting for a miniscule amount of the occupational medicine budget. Each time this denial of benefits of acupuncture and physiotherapy occurred, though, there was a subsequent increase in the use of narcotic pain medication. By the year 2011, workplace insurers, as administrators of the compulsory Workers' Compensation funds, spent an estimated $1.4 billion annually on narcotic pain medication for workplace injury. The denial of safe and effective conservative care for workplace injury, in the form of acupuncture and physiotherapies, which was highly recommended by the Industrial Medical Council of California, a group of experts that wrote the guidelines of treatment in occupational medicine until treatment guideline reforms were more strictly mandated and the Industrial Medical Council was abolished with SB228 in 2002, led to an enormous rise in the use of narcotic pain medications to treat workplace injury, especially chronic injury. At this time, the administrative director of the California Workers' Compensation system was given full responsibility to adopt "evidence-based, peer-reviewed, nationally recognized standards of care" recommended by the Commission on Health and Safety and Workers' Compensation (CHSWC). As the recall of Governor Gray Davis, and the election of Governor Arnold Schwarzenegger took effect, stronger Workers' Compensation Reform was enacted in the SB899 legislation, largely written by the insurance industry. In this law, a 24-visit cap was applied for physical therapy and chiropractic medicine, and while no cap was applied to acupuncture, a temporary administrative director of the Workers' Compensation system replaced the real administrative director, and the implementation of treatment guidelines for the acupuncture specialty was denied for 4 years, despite RAND approved evidence-based acupuncture guidelines already in place nationally. This largely removed acupuncture and physiotherapy from the system. The result of these legislative reforms has not been a decrease in the costs of Workers' Compensation, but rather an increase. In addition, a growing chorus of alarm has risen due to the enormous problems with overuse of pain medications, narcotic abuse, and related health problems and deaths (see the article entitled Pain Medication: Warnings and Alternatives on this website). A June 3, 2012 article in the New York Times, entitled Pain Pills add Cost and Delays to Job Injuries, reported that a 2008 study by the California Workers' Compensation Institute found that when actual physiotherapies are underutilized, and narcotic pain medication is used instead, that the cost of treating a workplace injury is magnified greatly, with workers given higher dosages of narcotic pain medication staying off work 3 times longer on average. A 2010 analysis by Accident Fund Holdings reported that the cost of a workplace injury was 9 times higher when a strong narcotic like OxyContin was prescribed when compared to a workplace injury treated with conservative care and no narcotic pain medication. The prescription of narcotic pain medication has expanded greatly in the last decade, prompting a number of laws now requiring that physicians utilize conservative care in the form of acupuncture and physiotherapies to reduce narcotic addiction, overdose injury and death. Between 2001 and 2008, as Workers' Compensation reforms were enacted across the country and acupuncture and physiotherapies were denied, narcotic pain prescription as a share of all drugs used to treat workplace injury increased 63 percent, according to insurance industry data reported in this New York Times article. The delays in adopting new evidence-based national treatment guidelines for the acupuncture profession between 2004 and 2008 resulted in these treatments largely disappearing from the system in California, and much of the country. Today, a managed system of care in occupational medicine highly discourages the utilization of these conservative manual physiotherapies such as acupuncture and tui na. The result is a crisis in both financial costs, and costs to the health of workers, who more often are faced with both chronic pain and disablility, and the adverse effects of chronic narcotic and other pain medication, including addiction. These pain medications have been shown to do little to restore the health of the worker and get them back to work. Government deficits have been impacted heavily, as public employees are denied actual physical care, and put on narcotic and other pain medications permanently, often with high costs of the medication, and more time off work. There has been little input from the injured workers or the public in this decision making, and the direct control of patient care by a physician of choice has been taken away as well. Opioid pain medications have emerged as a major driver of costs, and inexpensive, direct, and proactive treatment in the form of acupuncture and physiotherapy is rarely utilized, despite the fact that the short courses of acupuncture and physiotherapy are often less expensive than the narcotic pain medication. Accident Fund Holdings reported that the cost of a typical workplace injury, averaged about $13,000, was tripled when a strong narcotic pain medication was prescribed, instead of utilization of conservative treatment protocols. When the strongest narcotic pain medications were prescribed, the average cost of workplace injury increased to 9 times the average. A course of acupuncture and physiotherapy of 18 visits would cost roughly 2 thousand dollars, much less than the 26 to 114 thousand dollars added on average when patients are treated with narcotic pain medications instead. The insurance industry, managing the claims in Workers' Compensation after deregulation from non-profit administration, routinely and readily reimbursed doctors for pain medication prescription and denied acupuncture and physiotherapy. We see now where this has gotten us. As these studies were being conducted in 2008, with acupuncture largely sidelined in California Workers Compensation, a number of large studies were being published in Europe that clearly supported acupuncture as an evidence-based sound therapy for pain and workplace injury. By 2007, studies in Germany, which were large-scale and met the most stringent standards, such as the Ruhr University study of acupuncture for chronic low back pain, showed that acupuncture was proven effective for the treatment of low back injury, migraines, tension headaches, arthritis and neck pain. The Ruhr study of Dr. Heinrich Endres (Archives of Internal Medicine September 2007) showed that 47% of patients with chronic low back pain felt significant relief over time compared to only 27% of patients receiving standard drugs and other standard therapies. The Charite University study in Berlin in 2005 demonstrated that patients with chronic osteoarthritis of the knee improved after 8 weeks with acupuncture more than with no acupuncture (Lancet, 2005 Jul12;366(9480):136-43). A University of Essen study of migraine patients concluded that acupuncture was just as effective as standard drug therapy in preventing or reducing incidence of migraine headache over a 26 week study period (Lancet; March2, 2006). In the United States, a 2006 Mayo Clinic study concluded that evidence suggests that acupuncture reduces the symptoms of fibromyalgia (Science Daily; 6/13/2006). This syndrome of systemic neurological pain is very difficult to treat in modern medicine, and is now called encephalomyelitis. The fact that acupuncture is proven effective supports evidence-based acupuncture in pain syndromes immensely. Prior to this study, the United States government Centers for Medicare and Medicaid Services published a report from AHRQ on June 5, 2003, stating that in a meta-analysis of all available studies of acupuncture for the treatment of fibromyalgia, that on study met the criteria for a large-scale RCT. This was the Deluze et al study, which showed that 70 patients found statistically significant benefits with acupuncture using several methods of outcome measurement. Ingenta reported that it concluded that acupuncture is effective for fibromyalgia and chronic pain based on this Ezzo, Berman et al 2000 study. The CAOMA/FAR guidelines cite numerous large-scale studies with statistically positive results for acupuncture in the treatment of chronic pain and a variety of pain syndromes and injuries. The large number of high quality scientific studies since this time does nothing to negate these findings, with much support for the evidence-based practice of acupuncture and related physiotherapies. Much evidence is accumulating via the internet to substantiate current research. Below are some resources and examples.